The terrific team that brought you the first boot camp in 2016 is going to do it again in 2017. Details follow below in a message from the organizers. Note to Readers: I was a spot mentor, available by email, for two of the five groups for the 2016 Bootcamp. Each student group will have primary mentors on-site. In 2016 some of the leading names in nuclear engineering innovation served as on-site mentors. 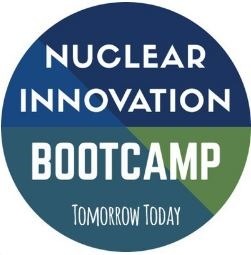 Building on the resounding success of the first Nuclear Innovation Bootcamp: Nuclear Upended held in 2016, we are pleased to announce that we’re doing it again! The second bootcamp, Tomorrow Today, will be hosted at UC Berkeley from July 16-29, 2017. The Bootcamp will train the next generation of students and professionals in developing and executing ideas for nuclear energy that work in the world–providing them the tools to make a real impact as innovators and entrepreneurs. See this article The Future of Nuclear Energy for a deeper look at this objective. – 25 students from around the world will learn from experts inside and outside the classroom for two weeks while executing team design projects. – Mentors: a fleet of mentors will be available as a resource for the students throughout their projects. – Experts: world experts will teach sessions, speak on panels, and be available for discussion. – Pitches: the bootcamp will culminate in a session open to the public where each group will pitch their project to a panel of expert judges. – Modules: the curriculum is structured as modules, each of which is a deep dive on a specific topic. – Professionals as participants: we invite professionals to attend for one to several modules. – Collaboration: we are thrilled to announce that this year’s bootcamp is being collaboratively organized by UC Berkeley, MIT, Texas A&M, UW Madison, and VCU. Be a participant Applications will be open December 15, 2016 through February 15, 2017. Applicants will be informed of their placement no later than March 15, 2017. The full program is open to any students interested in or studying nuclear engineering or related fields, energy, entrepreneurship, business, law, communication, design, policy, or arts. Students’ housing and meals will be covered for the two week session; there will be a modest registration fee if selected and they will be responsible for their own transportation to Berkeley. Modules of the program are open to early- and mid-career professionals. Professionals can apply for individual modules where they will develop targeted expertise in areas needed for nuclear entrepreneurship and innovation. These professionals will learn side by side with the students and contribute their expertise to the student group design projects. Be a mentor Lend your expertise to a specific team throughout the bootcamp by being a continuous mentor, or, as a smaller commitment, to any team for a short period of time as a spot mentor. Be a sponsor Help make this bootcamp possible. Get solution ideas for important challenges. Attract the best and the brightest to work on your problems. Make the nuclear industry of tomorrow successful today. Interested in teaching? Let us know if your expertise fits with a part of our curriculum and you’re interested in serving as a speaker. Here’s a list of the speakers from the 2016 bootcamp. MODULES: With one to three day topical modules and professional participation, students will be leave the 2017 Bootcamp with a more in depth understanding of specific nuclear innovation-relevant issues. The module topics will be announced in December, but may include: legal considerations for nuclear, supply chain development, integration with renewables and other forms of electricity production, Gen IV designs, or methods for idea generation and critique. PROFESSIONAL INTEGRATION: For the 2017 Bootcamp, we’re excited to announce the inclusion of early-level professionals into our modules in addition to students at the graduate and undergraduate level. These professionals will be welcome to join for one or more modules for a fee; their participation will allow students access to additional experts in various subfields of nuclear, and give them the knowledge and tools to bring entrepreneurship and innovative thinking back to their companies. MORE STUDENTS: Our increased number of student participants will result in more design groups, more design projects, and more opportunities for nuclear innovation to move from Bootcamp into the wider industry. MORE DESIGN PROJECT TIME: Last year, student design project groups created incredible ideas with very little scheduled design project time. This year’s modular schedule will provide more opportunities for students to work on their projects with professional participants, visiting speakers, and other program visitors; it will also provide them more time during the traditional work day to interface with their professional mentors. INSTITUTIONAL COLLABORATORS: We are excited to announce the inclusion of the Massachusetts Institute of Technology, Texas A&M University, Virginia Commonwealth University, and the University of Wisconsin, Madison as collaborators for the 2017 Bootcamp curriculum and project design. They will be joining the University of California, Berkeley in identifying the modular topics of utmost importance this year and in recruiting students, professionals, speakers, mentors, and sponsors. GET INVOLVED: if you are interested in getting involved as a speaker, mentor, or sponsor, please visit our “Get Involved” tab of the bootcamp website. For students and early level professionals interested in applying, the application will be available on December 15, 2016 on the “Apply” tab. In January of this year my blog predicted that utilities, as customers of innovative developers, will not be content to wait 20 years for DOE national laboratories to kick R&D projects out of their sandboxes. I wrote that the business paradigm of time to market for useful innovations will produce a demand factor that will drive utilities to try to get early, hands-on, looks at innovative reactor designs. Four months later Southern Corp. and X-Energy proved the principle by inking a deal to collaborate on the development of advanced nuclear reactor technologies. Neither Southern nor X-Energy explained in their press statements where their R&D work intersects. The technological link between the two projects is Triso fuel. Some GEN IV designs of very high temperature molten salt reactors specify the use of it. The pebble bed design depends entirely on Triso fuel. Similar partnerships are possible with many other types of nuclear reactor technologies and fuels. For instance, in 2011 a group of nuclear engineers reviewed the design of the Integral Fast Reactor and concluded that there were no technical barriers to developing an NRC licensing application for it.